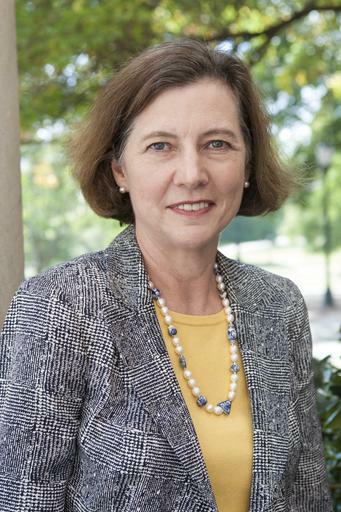 Dr. Rosemary Fisk has taught at Samford University in Birmingham, Alabama, since 1984. She holds an M.A. in English from Duke University and Ph.D. in English from Rice University, specializing in 19th Century American literature. In 2011 she was named Fulbright Scholar to work on general education reform in the Hong Kong public universities and was hosted by Lingnan University. She served as President of the Nathaniel Hawthorne Society (2012-14) and organized two conferences: Transatlanticism in American Literature: Emerson, Hawthorne, and Poe at Oxford University, UK, in 2006; and Hawthorne in the Berkshires at Massachusetts College of Liberal Arts in 2014. Besides teaching American literature, Dr. Fisk served as Associate Dean of Howard College Arts and Sciences from 2001-2017. She is a co-editor of the two-volume Core Texts Reader used in the Cultural Perspectives classes and has published articles on slave narratives and various tales by Hawthorne in Studies in the American Renaissance, Legacy: A Journal of American Women Writers, Resources for American Literary Studies, and Teaching Hawthorne in the College Classroom. Over the past decade she has led study abroad trips to Myanmar. In February 2013 she participated with representatives from ten American universities in an historic delegation to Myanmar led by the Institute of International Education. The delegation created an umbrella partnership to allow these universities special access to emerging Myanmar universities. Samford is the only participant from the South. Twelve years of her work as organizer of the Old Howard 100 bike ride yielded over $57,000 to benefit Sowing Seeds of Hope, an organization devoted to improving the quality of life in Perry County. Hundreds of cyclists each spring from 2005 to 2016 showed up to pedal through three counties of the Black Belt. She and her husband, Howard Walthall, a professor at Cumberland School of Law, enjoy cycling, gardening with native plants, and being in the outdoors.